So it’s been around 18 months since my last blog post. I’ve never been great at keeping written diaries or blogs, especially when keeping busy with other work! I made the decision in late 2015 to get back into acting as a serious career, and since then I’ve been focusing on getting back on set of films (mostly short & independent productions) and building up my screen credits and showreel material. At the start of 2018, I also made the decision to get into crew work. I had previously worked as a crew member on both film and theatre productions, and my background in events management became quite useful as I love to organise things and help people – so I started offering to work on small indie projects, which led me to realising I love to do Production Management. I’ve since worked on a few projects (both paid & unpaid) and am looking to do more of this. Of course, I still love acting, but at the end of the day any work on a film set is where I’d rather be. So maybe in another two years I’ll be fully working in the film industry as both a crew & cast member on various productions.. in the meatime, check out my podcast either on my page here, or via iTunes – just search for “On Set with Racheal Leigh”. So after being made redundant from my full time job back at the end of Feb (followed by a lovely 3 week cruise around Indonesia), I have decided to take the opportunity to get back into what I love doing most – acting! I have been auditioning for lots of different things but they are a bit like job interviews, so you just have to do your best and move onto the next one.. but I have managed to start getting some gigs here and there.. I had a day on set back in May for a new telemovie show being produced, and today I was on set for a corporate video. I also performed in my first ever Hindi Bollywood Show, where I played the lead male as Prince Saleem in Salaam-e-Ishq. I am hoping some video footage of that will be on my showreel in the near future! Between the acting jobs I’ve been completing my studies to become a Personal Trainer, and have been doing lots of casual work in promotions, events and hospitality. I did this sort of work many years ago, and it feels great to be getting back into it. I love the variety and nature of the work – getting to talk to people, promote new products, work at fun events, and so on. The only downside is that the work isn’t regular, and some companies are a bit tardy in paying, so I don’t know how much money I will have from week to week. I am hoping to find something a bit more regular that is casual, but still has good flexibility (and good pay!).. just have to keep looking. Things have been quiet on the dance side, but I did get to go to Sydney earlier this month to compete with my Bollywood troupe, SARI, in the Indian Australian Singing & Dancing Competition as QLD Finalists. We didn’t win, but it was a great experience, and lots of fun! The trio of Wichita strippers (Mazeppa – Racheal Leigh, Tessie Tura – Julia Lefik, and Electra -Shelley Days) was a definite crowd favourite. Their rendition of “You Gotta get A Gimmick” was deliciously competitive, and wonderfully funny. Hats off to Leigh for actually playing Mazeppa’s trumpet – a joyous moment for all. This show has been one of my favourites (next to Chicago) and I’m so excited to be playing such a fun role! Only playing until this Saturday, 28 November – so do come along if you’re in town! You Gotta Get A Gimmick! A fair bit has happened since my last post in June. The One Night Only Gig was a sell-out, and we also just did our Latin Carnival de Sol concert which also sold out. I am still currently in the ‘day job’, but things on the dance front have slightly changed – I’m not currently teaching as I’ve been busy between the band; Bollywood dance gigs; and now rehearsals for the wonderful Broadway musical, Gypsy. I’ve also decided to start a video blog! It has started initially about my weight loss journey but may develop into other stuff later on. You can view Episode One here. I’m hoping it will inspire others to start looking after themselves so please feel free to share or subscribe. I have been a lot more active the past few months, and the next 12 months will hopefully see new opportunities and change. I hope you enjoy following and supporting me along the way! 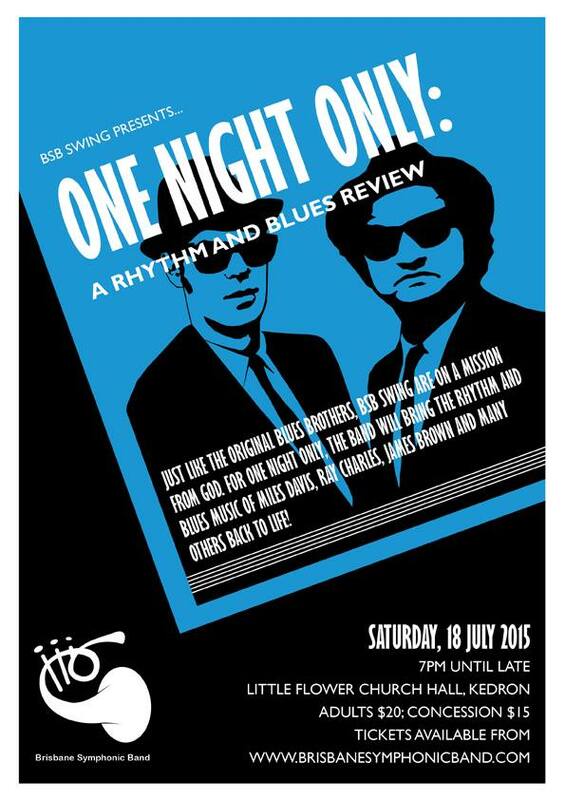 Between the ‘day job’ and dance gigs, I’ve been busy lately rehearsing for the Brisbane Swing Band’s ‘One Night Only’ Rhythm & Blues review. This awesome night of music will include a great line up of songs including Footloose, Car Wash, Route 66, Play that Funky Music, and of course a range of popular numbers from the Blues Brothers film. But first, I have a small performance this weekend at New Farm Park with the Brisbane Symphonic Band, where we will be playing a range of classic marches including my favourite – The Washington Post march. I remember this being played in a children’s movie back in the 80s and it was always one I loved to listen to so am very excited. Dance classes are on holidays now so I do get a little break at the moment, so am hoping to get working on my other websites, plus work on some new routines. I think for July I might have to detox as well – work has been so busy that I’ve not been very healthy lately. I think I’ve only been to the gym about twice this month (and there’s not much of the month left!). Wow.. I can’t believe how quickly time passes. I have been so focused on work and dance that I hadn’t touched my own website since 2012! So I decided it was time for an upgrade. I have always done my own websites in html but decided it was time to give a wordpress website a go.. and I must say I’m so far impressed. It’s so easy to use and add content and looks good. I am only using the free version so far, but might upgrade to the paid version for my dance websites once I’m sure about it all! In the meantime I’ve transferred all my old ‘news’ posts to here so I can eventually delete the old website. Nothing overly exciting has been happening since 2012. Mostly dance and work. The dancing has been up and down, and work was starting to take over – so I finally decided this year I would get back into performing and doing the things I am passionate about. So I’ve taken a step back from teaching (I am still teaching but just cut down on classes), did a theatre show, and a student TVC (short film); and also picked up my trumpet which I haven’t played for a while – so am now a member of the Brisbane Symphonic and Swing Bands. I’ve even played a couple of gigs already and played my first solo! Our next concert is coming up on Sat 18 July, so I will put a flyer up on this page for it very soon for those interested in coming along. 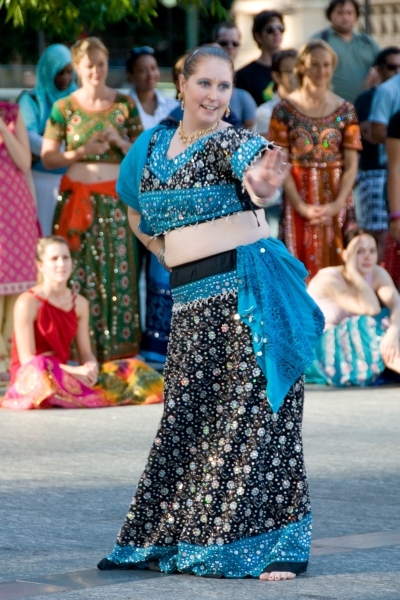 Bollywood Dance classes, performances and Bollycise Costume Hire has taken over Racheal’s time over the past year. Her new dance troupe, SARI, has slowly been developing and has performed at many festivals, events, birthdays and more. With her collection of Bollywood clothing growing month by month, it was only natural to offer the beautiful outfits for others to wear by way of Costume Hire. Bollycise is currently the only specialised Bollywood Costume Hire operating in Brisbane, and now stocks Mens, Ladies & Childrens outfits, along with Decor & Theming items. Bollywood Dance also saw Racheal choreograph a 15min segment for the Sandgate Theatre’s Variety Show, “Time Out” in May 2011, and in October, Racheal was selected to audition for SBS’s new realty show “Bollywood Star“. Sadly, whilst she made it through to the judges round, she was not selected for the Top 20, although Racheal is very happy with how far she did get considering the tough competition in Bollywood (and the fact she is probably the complete opposite of what perception of what a “Bollywood Star” should look like! ).